Gold Rush: How Did Dakota Fred Hurt get the Hoffmans' Claim at Porcupine Creek? 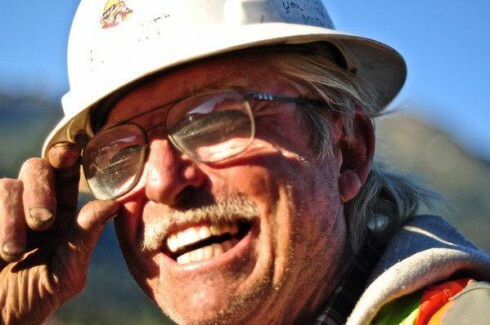 Gold Rush: How Did Dakota Fred Hurt get the Hoffmans’ Claim at Porcupine Creek? 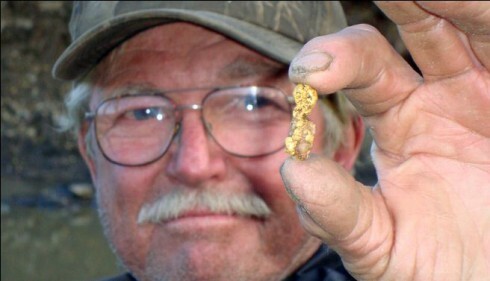 If you watched the first season of Gold Rush on the Discovery Channel, then you know all too well how hard Jack and Todd Hoffman’s team of rookie miners worked to eek a few ounces of gold out of the ground at Porcupine Creek, Alaska. You also know that the first season ended with the snows closing the Hoffmans’ operation down just as Jack had finally started pulling real pay dirt out of his gl0ry h0le. Like me, you anxiously awaited the new season so you could see whether the Hoffmans could get things up and running quickly enough at Porcupine Creek to convert their catastrophic first season into a dramatic and immediate success. The gold was right there under the bucket of Jack’s big 400. We all knew it, but we all really needed to see it. 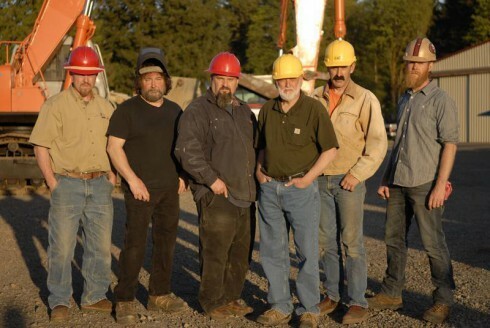 If you missed the first couple episodes of Gold Rush 2, then you’re probably asking yourself why Dakota Fred is mining at Porcupine Creek and the Hoffmans are way up in the Klondike of Canada at Quartz Creek this season. Actually, the answer is pretty simple: Dakota Fred jumped their claim. He used the law, of course, but that doesn’t change much. In fact, it might make it a little worse. Fred knew the Hoffmans’ operation from the inside. He knew how much those guys needed the gold they were digging for, and he knew how close they were to their payoff. That’s why he wanted the claim (according to the storyline the audience say.) Unfortunately for the Hoffmans, Hurt also knew Earle Foster, owner of the Porcupine Creek claim, and he knew how to use that connection to get what he wanted. The Hoffmans, like many gold miners, didn’t own the claim at Porcupine Creek; they leased it. In exchange for letting the Hoffman’s mine his land, Earle Foster would receive a percentage of their mining take (before, not after, expenses). 10% seems to be the standard take on a lease. This is a pretty good deal for everyone, if enough gold is coming out of the mine to cover expenses. But, if expenses run higher than profits, miners working a leased claim still have to pay their percentage. We know how deep the Hoffmans went in the hole (literally and figuratively) last year, but they did bring up 14.5 ounces of gold. At about $1500 per ounce, that means that their take was around $21,000 and they probably owed Earle Foster about $2100. Apparently, Foster set up a payment plan for the Hoffmans. 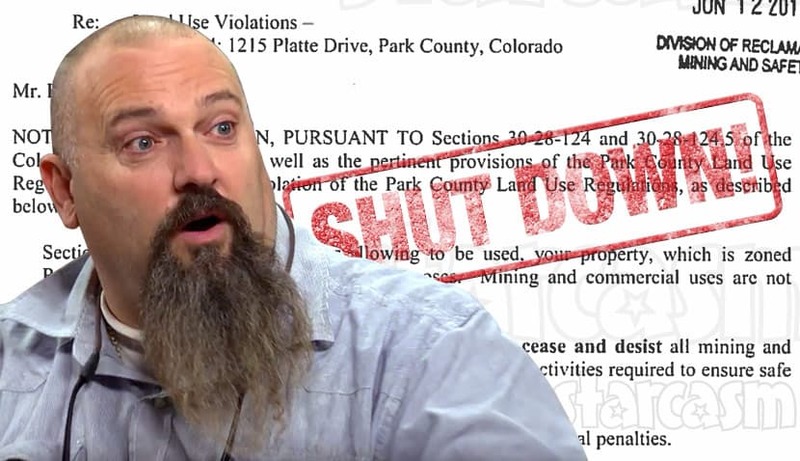 Todd Hoffman was unemployed and still managed to put more than a quarter of a million dollars into setting up the mine, so there’s no telling where he got the money to pay off the lease. But, given what we’ve seen of how Todd operates, I have no doubt that he was going to make those payments. His hopes and his father’s and friends’ dreams were all hanging on Porcupine Creek. Despite their explorations in the Klondike, plan A was always to go see what they could pull out of that gl0ry h0le. But, somewhere along the way, Todd dropped the ball and missed a lease payment. Under normal circumstances, you’d figure that wouldn’t be a big deal. But, these weren’t normal circumstance. Fred (pile on the) Hurt was in action, and Todd’s missed lease payment was the only opening he needed. First, Hurt made sure that Foster knew that the Hoffmans didn’t know what they were doing. You can’t blame Foster being disappointed in his cut from the Hoffmans’ season on his land or for being ready to believe Hurt’s stories about the Hoffmans. They did make mistakes, after all. Hurt wasn’t exactly lying; he was just bending the truth in the direction he wanted it to go. Next, Hurt bought the Porcupine Creek claim from Foster. He says that he had a standing offer on the land, but why would he buy it at this moment if he wasn’t convinced that the Hoffmans were close to something good? Normally, the new owner of a claim would have to honor the lease agreements made by the previous owner; but, because Todd had missed a payment, Hurt didn’t have to honor his lease. He could have honored the lease, of course. He could have done the right thing. But, he didn’t. He took the Hoffmans’ claim, gave them 48 hours to get off his land, and commenced to rip apart their operation gleefully before the dust settled on the dirt road they drove out of camp. 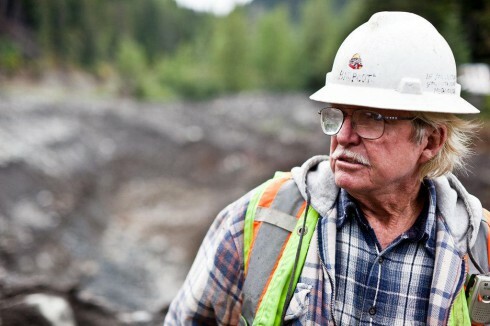 Gold Rush 2 has worked hard to make Fred Hurt into a sympathetic character. He has faced his share of challenges at the mine, his son seems like a likable guy, and the flooding of Fred’s home in Minot, Nebraska was truly awful. Neither the miners nor the narrator ever say anything about why Dakota Fred is at Porcupine Creek and the Hoffmans aren’t. Even Fred’s bio on the Discovery Channel website ignores that part of the story completely. Gold Rush’s Parker Schnabel is hiring for Big Nugget Mine summer jobs!